FINALLY. A Mac Mini You Can Buy. 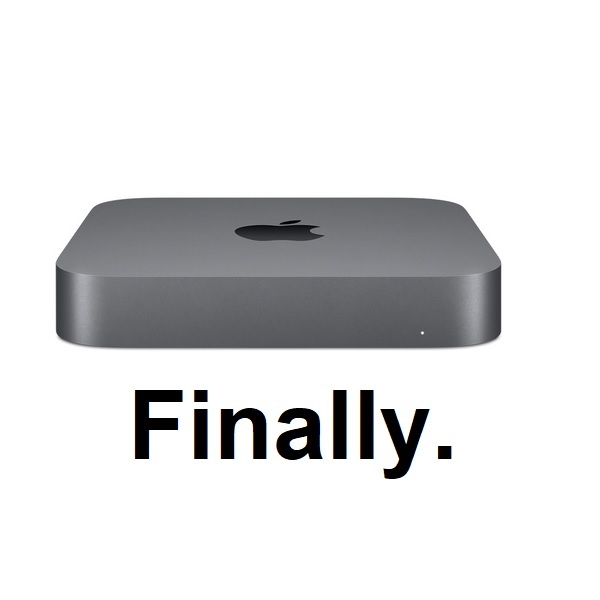 Apple announced a new Mac Mini today! 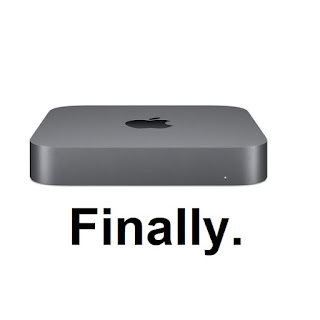 It's been four years since Apple last updated the Mac Mini, and a full six years since they introduced a Mac Mini worth owning. The 2012 Mini was the last to have user-upgradable RAM, or quad-core configurations. UNTIL TODAY. The 2018 Mac Mini has a space gray finish, but it's beauty is NOT skin deep. It comes in quad-core and six-core configurations. Quad-core is now the minimum spec. The Mini ONLY comes with SSD storage. Granted, you don't get a LOT of SSD storage in the off-the-rack configs - the $799 Quad-Core comes with a 128 GB SSD, and the $1,099 6-core comes with 256 GB. Fortunately, that lack of local storage is less important, because the Mini has three Thunderbolt ports. Our media libraries will live on external storage. Most importantly - RAM is user-upgradable. This was a non-negotiable aspect of the new Mini, and Apple appears to have gotten it right. In fact, RAM can be increased all the way up to 64 GB. This Mini will be able to do some serious pro-level tasks. I'm buying one immediately, albeit, in the lowest configuration. This Mini will be running alongside our QNAP NAS as our home server, primarily handling our iTunes library. I'm also curious to see what Apple has in store for MacOS Server, as it moves from a pro-level product to a (much less powerful) consumer-focused platform.